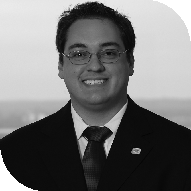 Serving the Madisonville area, Joseph provides the personalized investment guidance you need to help make your financial goals a reality. Using a personalized, one-on-one approach, Joseph works closely with you to develop an investment plan that works for your unique objectives. I’ve been happily married for over seven years and am blessed with two children. My wife and I are new to the Western Kentucky area, but we are both excited to be here and enjoy the new relationships we have made. When I’m not helping my clients, I enjoy spending time with my children and traveling. I have been in the Financial Service Industry since 2006.